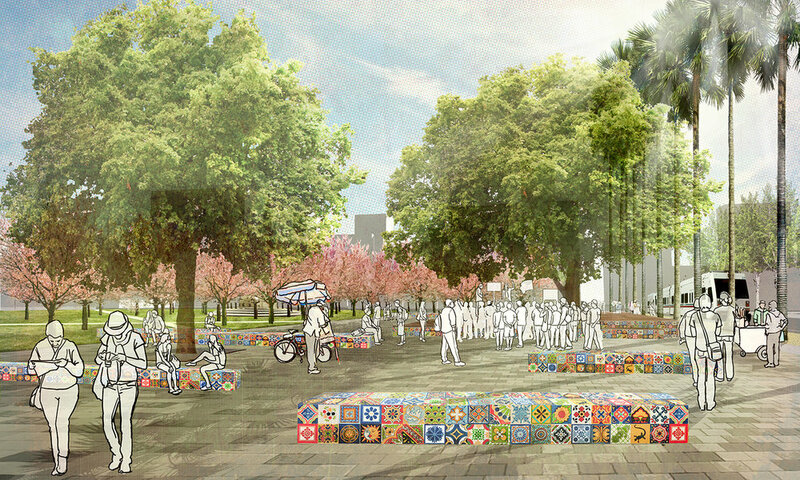 Tasked with transforming the historic park into a vital downtown destination, MSLA reimagined St. James Park as a vibrant expression of San Jose and its people. 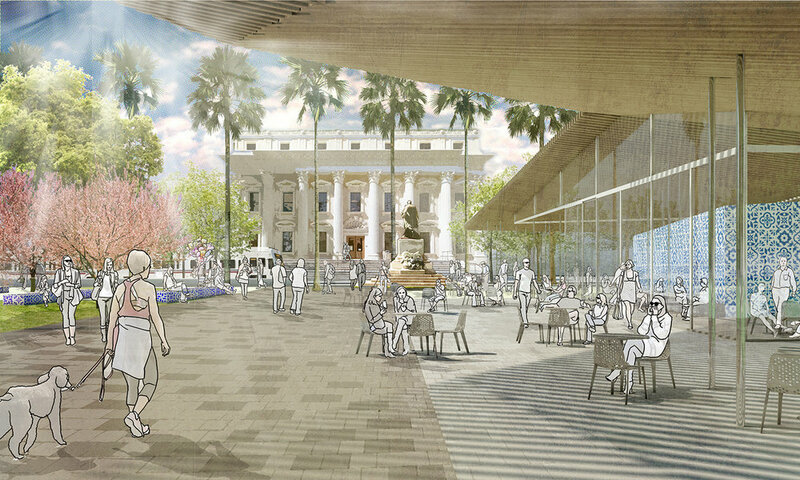 Distinguished for its flexibility, artistry, and historic sensitivity, the design draws upon the park’s cultural context to inspire, entertain and educate. 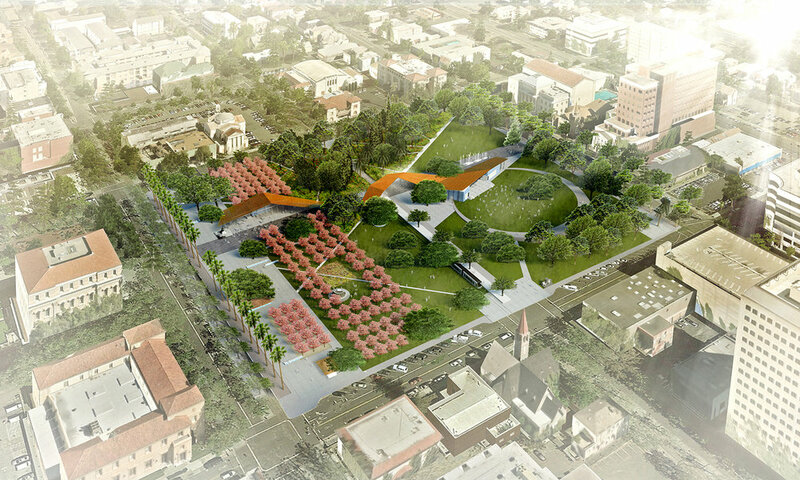 A new Paseo unifies the park along a central axis that links and highlights the adjacent historic buildings. Stitching its way above the Paseo is a wood trellis Brise Soleil connecting the Park Café to the west with the Levitt Pavilion to the east. Intersecting the Paseo are a series of spaces that provide flexible venues to accommodate a wide range of activities; the Civic Plaza to welcome and celebrate civic pride, the Orchards to memorialize and nourish, the Arboretum and Gardens to explore and play, and the Pavilion Green to perform and entertain.